Continuing Education. Need it Now? Does your Real Estate license come up for renewal soon? Or are you looking for some new topics and interesting material which will build your knowledge and skills? 400 North School of Real Estate offers ALL of the courses developed by OnCourse Learning. That’s more than 30 Real Estate topics and courses you can choose from. As of July 2015 all active licensees must complete a minimum 36 Hours of Real Estate Continuing Education for Each Four-Year Renewal Period (more is encouraged!). 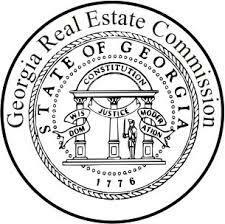 As of July 2016 you will be required by the Georgia Real Estate Commission to have 3 mandatory Continuing Education hours on the topic of License Law. Click here to read more on GREC’s website about the changes. Save off single courses by ordering in hourly bundles. We offer 18 hour renewal packages (3 six hour courses) for only $100. We also offer 36 hour renewal packages (4 six hour courses) for only $140 that would satisfy your 36 hour requirements and License Law courses.